There are times in our marriages that no matter how hard we try, we just don't seem to make any progress on this journey to a happy marriage. Too many couples give up too soon, and don't see the results and the rewards of staying married. Being in our fourth year of our second marriage, we are intent to doing things "right" this time. Both my husband I have had relatively long-lasting first marriages, and yet... we didn't make it to the finish line - "Until death do we part". I feel there is nothing more shameful, or devastating as dragging an entire family through a divorce. It's simply ugly. However, God is still there. God still heals. God still restores. And, yes, your marriage matters to God. We have made it somewhat of a mission to help other marriages avoid divorce, and the heartache that goes along with it. 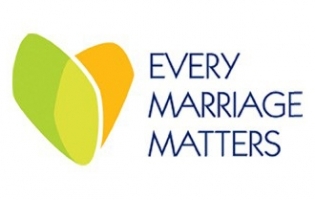 We are here to tell you that YOUR MARRIAGE MATTERS! It is worth saving! Your family, your children, your children's children are depending on you making it. We are in your corner! There are resources to help you deal with the matters in your marriage. First - know that this is God's design! One man, one woman, committed to love each other for life! Secondly - know that you made this commitment, not only to your spouse, but to God. Thirdly - know that it is not about YOU, it is now about "US". Most importantly - Don't give up! Your marriage is worth it!